This week we reported that the Hungarian government has proposed a bill that would launch yet another attack on the country’s NGOs, notably those critical of the government’s violations of human rights and international law. The bill, dubbed by government spokesman Zoltán Kovács as the “Stop Soros” bill, would reportedly impose additional administrative burdens and special taxes on NGOs the government believes is supporting illegal immigration. Furthermore, the bill would put restraining orders on those believed to be involved in illegal immigration operations (preventing them from approaching the border). 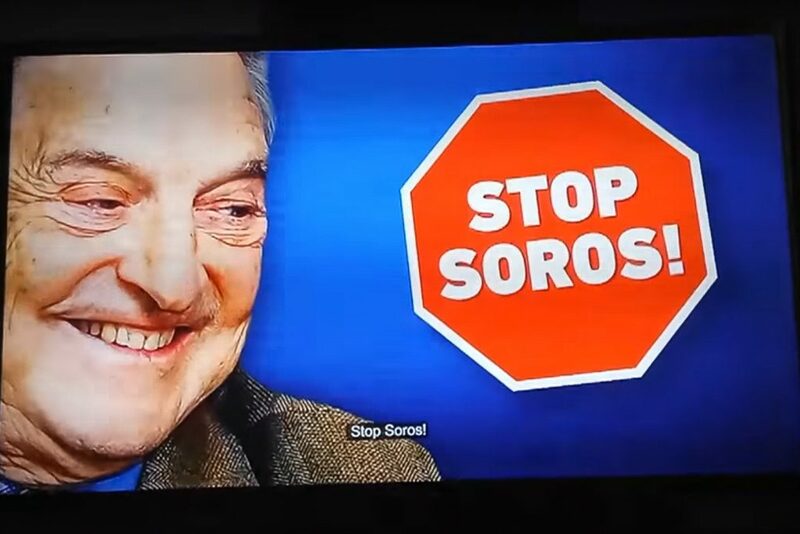 Now, the government is popularizing the “Stop Soros” theme in Hungarian media. Vastagbőr, a Hungarian blog, has just uploaded a recording of the propaganda ministry’s latest “public information announcement”, which just so happened to air on EchoTV, a television station now owned by Lőrinc Mészáros, the businessman many believe to be the prime minister’s straw man.